My family never listens to me. I told them I was most definitely not celebrating my birthday this year as there have been too many of them already! But I’ll forgive them – because, hey — WINE! 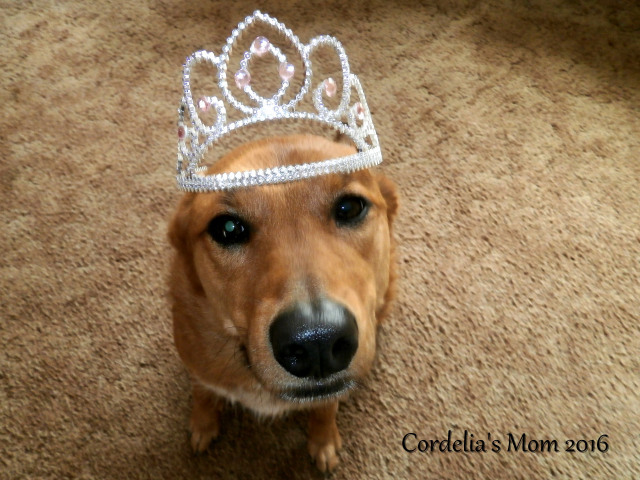 This entry was posted in Holidays, Re-Blogs, That's Life and tagged birthday, Puppy Cody, sabbatical. Bookmark the permalink. 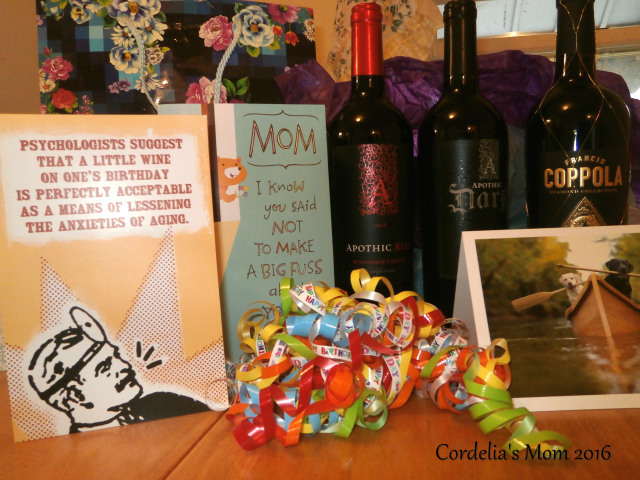 23 Responses to Happy Birthday, Cordelia’s Mom! Thanks, Jean. Puppy Stan needs a special treat today, too. Just saying. Thanks, Willow. Um, where is Vlad these days? Happy Birthday to you, CM, with wine and tiaras !!! Thanks, Van. One can never go wrong with either of those! Hi, Vic. Good thing I didn’t have a cake – after wine, who knows what might have happened! Happy Birthday! So glad you got wine!! Good wine, too! My kids know me so well. One can never go wrong with puppy kisses. Thanks, NBC. Got a nice weekend coming up – I can enjoy my gifts of wine. ooooo,. something to look forward to during my sabbatical! I’ll keep an eye out for that envelope. Thanks, Archon. Arggghh! I missed the Day completely! I hear you had a great one, and here’s wishing you a wonderful weekend, too! Thanks, Karen. Love to you, too. You’ve been with me from Day 1, and I truly appreciate that. Glad Birthday *trips on floor, crashes and burns on cake* Oh well… at any rate it wasn’t the usual! !..